Coffee tables are arguably the unsung heroes of the living room. 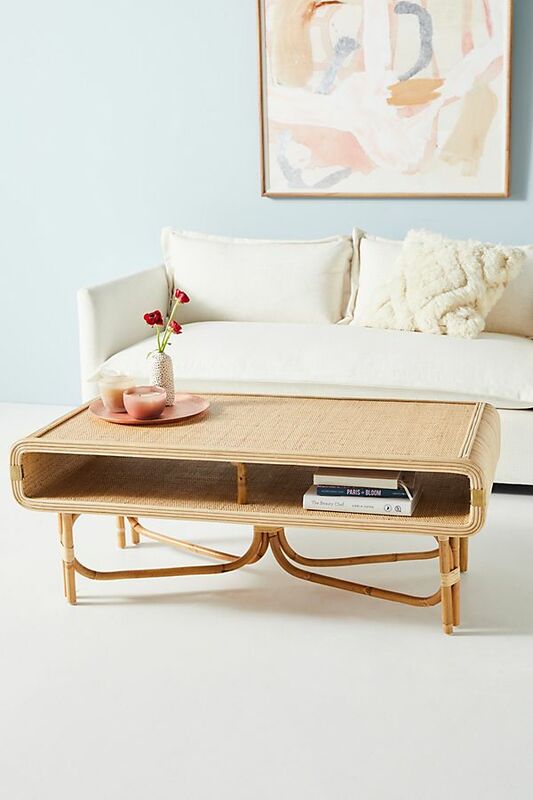 Beyond serving as simply a highly functional surface—or catchall for your curated tray and book display—coffee tables are the sort of underrated furnishing that can make or break a room. When it comes to small spaces, we’re often forced to compromise on one element or another, leaving us to resort to a piece we’re less than enthused about. That changes here. We set out to uncover the best coffee tables for small spaces, which prove that form and function can coexist with effortless ease. Take a look. Tiered coffee tables are a great option for those who need additional storage space. The bottom layer of the table can double as a catchall for everything from magazines to mail to remotes so the cute stuff is all you see on display. Leave the top free and clear of clutter. A coffee table that comes with hidden storage is a small-space dweller’s dream. With a cleverly concealed compartment, you can corral your essentials in one place and no one will ever be the wiser. When you’re cramped for space, it’s the little details that make the biggest difference. Enter acrylic. An ideal alternative to heavier-looking designs, the transparent material allows you to opt for tables with larger proportions that won’t appear bulky. Whether you’re opting for a set of nesting tables or pulling together a variety of side tables, this eclectic approach is all about versatility. Mix and match a side table with a stool for an unexpected look. This option is made for those who can’t choose just one table. Sure, the thought of such an important piece of furniture taking up square footage without being multifunctional is scary, consider the coffee table as the new art: there to make a statement—and that’s it.